Fat Predator Diet Capsules and any other information on this website, has not been evaluated by the FDA and is not intended for the treatment, diagnoses, cure, mitigation or prevention any disease. Fat Predator Diet Capsules are not intended as a substitution for the advice or medical care of a qualified health care professional, nor proper diet and exercise. You should always seek the advice of your health care professional before undertaking any lifestyle changes, supplements, dietary, or exercise program. If you are pregnant, nursing, taking other medications, have a serious medical condition, or have a history of heart conditions, we suggest consulting with a physician before using this supplement. The information contained in this website is provided for general informational purposes only. It is not intended as and should not be relied upon as medical advice. Weight loss advertising may not suggest that the product alone is effective for weight loss without acknowledging the importance of diet, exercise and restriction of caloric intake in any weight loss program. Fat Predator Diet Capsules are a powerful blend of products. You must be 18 years of age for use. Drinking lots of water daily is an important part of getting your body in shape, so drink at least 64oz. daily. For questions, diet tips and examples of eating plans contact us at 219-796-8320 or customerservice@fatpredator.com. ATTENTION: This is a binding agreement between You, the person or entity agreeing to the terms contained in this document ("You", "Your" or "Customer"), and Fat Predator Diet Capsuless ("Our" or "Company") the owner and administrator of this Website and all content and functionality contained herein. IT IS STRONGLY RECOMMENDED THAT YOU REVIEW THIS DOCUMENT IN ITS ENTIRETY BEFORE ACCESSING, USING OR BUYING ANY PRODUCT THROUGH THE WEBSITE. A. These terms and conditions, as well as any additional terms, conditions and covenants referenced in or made available by hyperlink in this document (collectively, these "Terms" or this "Agreement"), govern Your use of and access to this Website and any and all of its sub-pages (collectively, the "Website"). B. This Agreement is intended to be governed by the Electronic Signatures in Global and National Commerce Act. You manifest Your agreement to the terms in this document by any act demonstrating Your assent thereto, including clicking any button containing the words "I agree" or similar syntax, or by merely accessing the Website, whether You have read these terms or not. It is suggested that You print this form for Your personal records. Fat Predator Diet Capsules reserves the right to revise, amend, or modify this policy and Our other policies and agreements related to the Website at any time and in any manner, without prior notice to You. Accordingly, You should periodically check this page for any modifications of these Terms. E. At the bottom of this page appears a "last modified" date. If the "last modified" date remains unchanged, then You may presume that no changes have been made since the "last modified" date. A changed "last modified" dates indicates that this document has been updated or edited, and the updated or edited version supersedes any prior versions immediately upon posting. 2. ORDERING PRODUCTS THROUGH THE WEBSITE; POLICIES. NOTE: All products come with a (30) day money back guarantee on any (Un-Opened) bottle of product as described in this Agreement. If You have any questions about Our 30 day Un-Opened bottle guarantee, please contact Our Customer Service Department toll-free at 219-769-8320 Our Customer Service Department is open Monday thru Friday 10am-6pm Central Standard Time. B. Beginning on the day that You place an order for a product ("Product") from the Website, Your fourteen (30) day period begins ("30 Day Period") when you pay for shipping and handling. The (30) Day Period is calculated in calendar days, not business days and your fourteen (30) day ends on day Thirtieth (30th). C. You will be given thirty a (30) days’ supply (or subscription access) of the Product You ordered. Generally, You will receive your product within 2 - 7 business days via United States Postal Service. Delivery time is subtracted from Your (30) Day Period, and will reduce the number of days allocated to Your (30) Day Period. If You want to extend Your Your (30) Day Period due to slow or delayed delivery, You must call Our Customer Service Department toll-free at 219-769-8320. Reasonable requests (as determined byFat Predator Diet Capsules) to extend Your Trial Period generally will be granted. D. We want You to be satisfied with Our Products and Our services! If You are satisfied with the Product and wish to continue to receive the Product on a monthly basis, You will need to call our ordering department at 219-769-8320 each month to place a new order or order online at www.fatpredator.com. REFUNDS AND RETURNS: If you would like to return your product before it is opened for any reason, simply contact us for return instruction at 219-769-8320. You will be asked to ship the product back to us. Please allow 3-7 business days for refunds to process. WE WILL NOT HONOR OPENED BOTTLE RETURNS! YOU UNDERSTAND THAT THIS CONSUMER TRANSACTION INVOLVES A NEGATIVE OPTION AND THAT YOU WILL BE LIABLE FOR FULL PAYMENT OF PRODUCTS THAT WAS SHIPPED TO YOU. If you are calling about refunding a purchase made over 30 days from the purchase date our customer service team will handle it on a case by case basis. E. Regardless of whether You return your product within a (30) Day Period of time or not, You will be responsible to pay the shipping and handling charges associated with Your Product (currently ranging between $6.90 and $12.90, depending on the Products ordered). You agree that we can charge Your credit card for this amount, and You agree to pay such amount regardless of whether You cancel and return Your products in a timely fashion or not. No refunds will be issued for shipping and handling charges. F. Customers are restricted to receiving a single refund per Product ordered. Repetitive refunds are not permitted unless the Product, as delivered to You, is defective. Fat Predator Diet Capsules reserves the right to refuse a refund to any customer who repeatedly requests refunds or who, in Fat Predator Diet Capsule’s judgment, requests refunds in bad faith. G. In order to process Your refund, You must supply Fat Predator Diet Capsules with Your name, Billing, Shipping Address and Payment information. If You provide us with insufficient or incorrect information, Your refund will be delayed. H. Depending on the bank that issues the credit card You used, Your refund can take up to thirty (30) days to appear on Your credit card statement. If You have any questions about whether a refund has been issued by Fat Predator Diet Pills, please call Our Customer Service Department toll-free at 219-769-8320. I. Credit Card Descriptor. By ordering Products from Fat Predator Diet Capsules, You authorize Fat Predator Diet Capsules to charge Your credit card accordingly. This authority shall remain in effect each time an order is placed. Be aware that the descriptor (or subject line) that appears on Your credit card entry will refer Fat Predator Diet Capsules. If You have any questions about the descriptor on Your credit card statement, You should call Our Customer Service Department at 219-769-8320. J. Modifications. We reserve the right to modify the prices charged for the Products, or to add or remove any Products, from the Website at any time without prior notice to You. Price quotes provided to You prior to any price modification shall be honored. K. Billing Errors. If You believe that You have been erroneously billed, please notify Our Customer Service Department toll-free at 1-219-769-8320 immediately of such error. If We do not hear from You within thirty (30) days after such billing error first appears on any account statement, such fee will be deemed acceptable by You for all purposes, including resolution of inquiries made by Your credit card issuer. You release us from all liabilities and claims of loss resulting from any error or discrepancy that is not reported to Us within thirty (30) days of its publication. L. If you are not satisfied with your product for any reason, simply contact us for a refund. You will be asked to ship the (Un-Opened) product back to us. WE WILL NOT HONOR OPENED BOTTLE RETURNS! A. It is Our intention to provide You with the finest products available, and we believe in the efficacy of every Product we sell. You understand, however, that Our Products have not been evaluated by the FDA, and Our Products are not intended to diagnose, treat, cure or prevent any disease. Individual results will vary, and not every trade is will make you money. C. We endeavor to provide You with accurate information about Our Products. You understand and agree that the information we convey about or Products and/or the efficacy of Our Products, is obtained from independent third parties such as news agencies, scientific reports, and scientific / research entities, customers ("Third Parties"). We do not warrant or represent that such information is error-free, and we do not represent or endorse any Third Parties or the methods that they use to arrive at their conclusions. All Product specifications, performance data and other information on the Website is for informational and illustrative purposes only, and do not constitute a guarantee or representation that the Products will conform to such specifications or performance data. A. The Website, and all images and content at the Website (collectively, "Materials"), are the sole and exclusive property of Fat Predator Diet Capsules or its licensors. No license or ownership rights in or to any of the Materials are conveyed to You by virtue of this Agreement or by Your purchase of any Product from the Website. B. The Materials are protected by the copyright and trademark laws of the United States. Unless otherwise permitted by law, none of the Materials may be reproduced by You without Fat Predator Diet Capsules prior written permission. 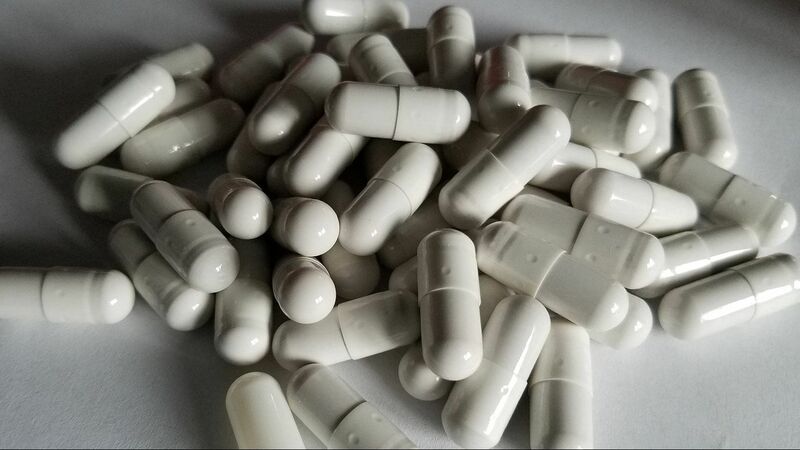 F. Fat Predator Diet Capsules may contact You by email, telephone or postal mail for any purpose, including but not limited to (i) follow-up calls, (ii) customer satisfaction surveys, and (iii) inquiries about any orders You placed, or considered placing, at or through the Website. 8. LIMITATION OF LIABILITY; NO WARRANTIES. A. In no event shall Fat Predator Diet Capsules or its officers, directors, employees or subcontractors be liable for any indirect, special, incidental, exemplary, consequential or punitive damages, under any cause of action whatsoever including but not limited to contract, tort, strict liability, warranty or otherwise, for any claim, cause of action, fee, expense, cost or loss (collectively, "Claims") arising from or related to this Agreement, the Products, or Customer’s use of the Website or any Product. B. Except as otherwise specifically stated in this Agreement, the Website and all Products and services provided to You are provided "as is", without any warranty whatsoever. C. You agree that Fat Predator Diet Capsules entire liability for all Claims shall be limited, in the aggregate, to the lesser of (i) USD $200.00, or (ii) the total amount of money You paid to Fat Predator Diet Capsules in the one (1) month period immediately preceding the incident on which Your Claim is based. This limitation of liability shall apply for all Claims, regardless of whether Fat Predator Diet Capsules was aware of or advised in advance of the possibility of damages or such Claims. You agree to defend, indemnify, and hold harmless Fat Predator Diet Capsules, its officers, directors, shareholders, employees, independent contractors, telecommunication providers, and agents, from and against any and all claims, actions, loss, liabilities, expenses, costs, or demands, including without limitation legal and accounting fees, for all damages directly, indirectly, and/or consequentially resulting or allegedly resulting from Your misuse or inability to use the Website, or Your breach of any of these terms and conditions of this Agreement. We shall promptly notify You by electronic mail of any such claim or suit, and cooperate fully (at Your expense) in the defense of such claim or suit. If we do not hear from You promptly, we reserve the right to defend such claim or suit and seek full recompense from You. Fat Predator Diet Capsules shall not be responsible for any failure to perform due to unforeseen circumstances or to causes beyond Our reasonable control, including but not limited to: acts of God, such as fire, flood, earthquakes, hurricanes, tropical storms or other natural disasters; war, riot, arson, embargoes, acts of civil or military authority, or terrorism; strikes, or shortages in transportation, facilities, fuel, energy, labor or materials; failure of the telecommunications or information services infrastructure; hacking, SPAM, or any failure of a computer, server or software, for so long as such event continues to delay the Fat Predator Diet Capsule's performance. * Governing Law. This Agreement and all matters arising out of, or otherwise relating to, this Agreement shall be governed exclusively by the laws of the State of Idiana, excluding its conflict of law provisions. Venue for any matter arising from or related to this Agreement shall exist solely and exclusively in Lake County, Indiana, and the parties hereby submit to the personal jurisdiction of the state and federal courts sitting in Lake County, Indiana for such purpose. * No Waiver. No waiver of or by Fat Predator Diet Capsules shall be deemed a waiver of any subsequent default of the same provision of this Agreement. If any term, clause or provision hereof is held invalid or unenforceable by a court of competent jurisdiction, such invalidity shall not affect the validity or operation of any other term, clause or provision and such invalid term, clause or provision shall be deemed to be severed from this Agreement. * Modifications. Fat Predator Diet Capsules reserves the right to change any of the provisions posted herein and You agree to review these terms and conditions each time You visit the Website. Your continued use of the Website following the posting of any changes to these terms and conditions constitutes Your acceptance of such changes. Fat Predator Diet Capsuless does not and will not assume any obligation to provide You with notice of any change to this document. Unless accepted by Fat Predator Diet Capsules in writing, these terms and conditions may not be amended by You.